After an eventful day full with visiting Bremen’s most famous sights, now you have the chance to explore Bremen’s seafaring side. Begin with a breakfast at the Schlachte direct on the Weser promenade. With the number of restaurants here, you’ll be spoiled for choice. Perhaps our Gastrofinder can be of some help. Stroll along the Weser and cross over the Teerhof Bridge to catch a glimpse of Bremen’s historical city centre from the other side of the river. By the way: on Saturdays an antiques and flea market sets up along the river from the months of March to the end of December, between the hours of 8:00 to 14:00. Go "old school" with a bike rental from the 70s or 80s from "fahrrad express". Take tram line 1 to the "Am Dobben" stop and walk to Bohnenstraße 7. Set-up with your rental and your bike tour of choice, you’re ready for your next destination. Ride along the Weser or even board the ship Hal Över with your bike in tow. Bike through the scenic countryside of the Blockland by way of the Bürgerpark. Put your individual route together with the Bike-Citizens app and find lots of different tour possibilities on Bike-it. 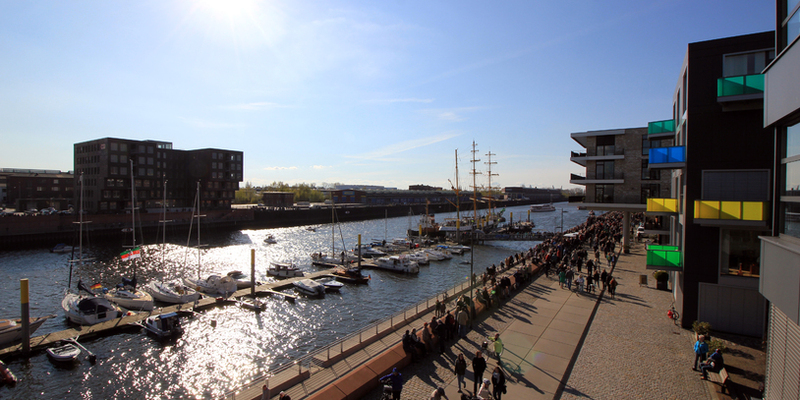 Check out the Überseestadt, which has been transformed from an old harbour into a modern urban space. You’ll find leisure activities and excellent restaurants here, as well as interesting industrial and warehouse architecture. 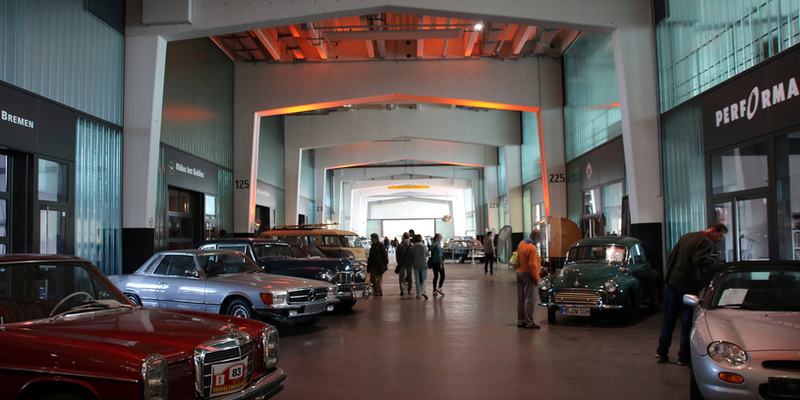 Vintage car enthusiasts won’t want to miss a visit to Schuppen Eins, the centre for automobile culture and mobility. In this huge space, you’ll find an expansive collection of historical automobiles and speciality cars. Break for a lunch with Arabic flair at "Al Dar" and enjoy some Syrian cuisine. The Überseestadt also offers plenty of other options for a midday snack. After the fortifications, you’re ready to get back in the saddle and continue on with your bike tour. 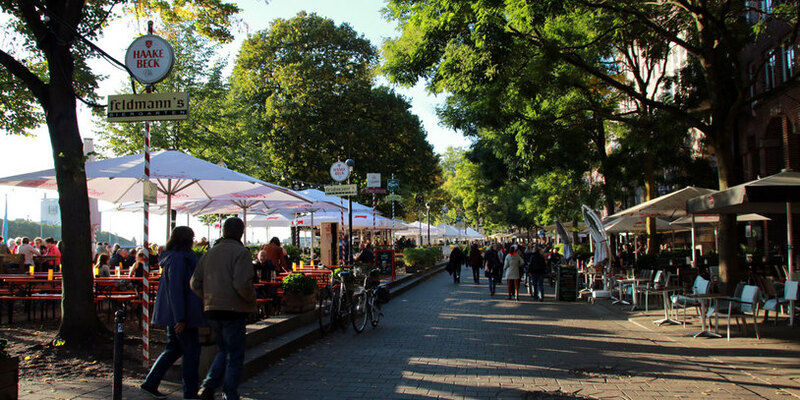 End your visit to Bremen by going back to the heart of the Hanseatic city, the town square. Savour a meal in the rustic atmosphere of the Bremer Ratskeller or Schüttinger Gasthausbrauerei. After dinner you can say your final goodbyes to the four Bremen town musicians before heading over to the Schlachte to finish up the evening a with a drink or a cocktail. Die Schlachte liegt im Herzen von Bremen direkt an der Weser und lockt mit zahlreichen Cafés, Restaurants und Bars. Hier trifft man sich mit Freunden am Wochenende oder nach der Arbeit, trinkt Cocktails und genießt einfach das maritime Ambiente. 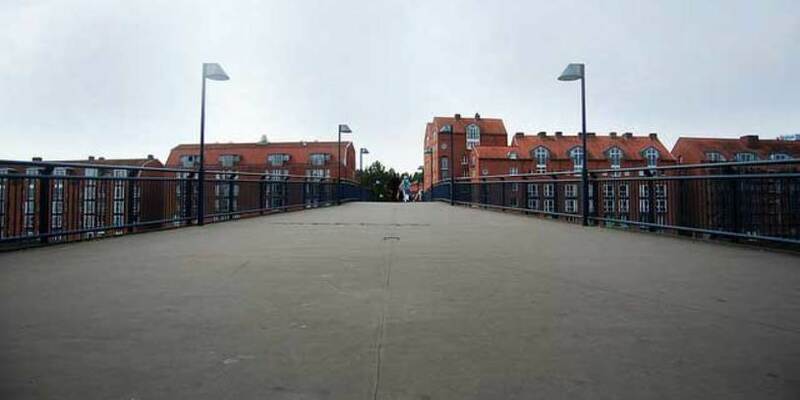 Die Teerhofbrücke verbindet für Fußgänger und Radfahrer die Weserhalbinsel Teerhof mit der Schlachte. In der Überseestadt siedelten sich rund um den neuen Europahafen Szenerestaurants, Einzelhandelsgeschäfte und Unterhaltungsexperten an. Das Zentrum für Automobilkultur und Mobilität ist ein modernes Konzept ein Kulturdenkmal bremischer Hafengeschichte zeitgemäß zu nutzen. Der Bremer Marktplatz wird zu den schönsten Europas gezählt. Einzigartig ist sein Ensemble historischer Bauten. Herausragend: Das Rathaus von 1405, das zusammen mit dem Roland zum Welterbe der Menschheit gehört.